The most requested topic you girls ask me to write about is social comparison. Imma gonna get straight to the point: YUP, you got it – in our culture, comparison definitely feels pretty much inescapable. *Especially* with platforms like Facebook, Snapchat & Instagram acting as tyrants over our smart phones (and maybe lives…joking, but am I?). Being a blogger, sometimes I get lost in a black hole of “what ifs,” “she has,” like-counting, comment-scoring, and the never-ending competition of who has and who has not. But the the 24-year-old very-single-girl-in-me who lives in the 21st century wakes up and realizes everyone is dating someone, engaged, or married…already? My gosh, I’m only 24! But let’s twist it the other way. We could play the grass-is-greener picture when it comes to careers, blogs, jobs, resumes, yada yada on and on. So what picture did I just paint? It’s one big intermingled, tangled-up mess of a web of “haves” and “have nots,” brewing social anxiety that starts with the simple seed of — yup, you guessed it: comparison. There is no winner in this game. When we finally grasp one thing, there’s the next thing. When we get what we’ve been waiting for, there’s someone else doing it better. That person isn’t going to go away, and guess what? Social media is here to stay (It makes me frightened for my future kids, but that’s a whole nother blog post, ammright?!) but what must change is your mindset. I’m gonna get to that below. Underneath comparison is a deeper issue: Let’s dig way deep under any jealousy, self pity or coveting and what do we find? It’s often a heart issue; it’s an insecurity, a judgement, a past hurt, maybe sadness, anger, or a fragile spot. Getting down to really what’s making you feel “less” inside is more productive than putting the other person or thing on a “higher” pedestal. Remember: we are our own worst critic – and awareness of that is a big, hard, and difficult step. Take a day off social media once a week. For the last few months, I’ve chosen Fridays. Although I can’t completely escape, this day is dedicated to me and staying present. I’ll share a secret: it’s my favorite day of the week. This is an overall refresh and recharge system and it works miracles. Hobbies and pastimes are totally underrated. Getting out and doing things, breathing in fresh air, playings sports or getting in that workout gets our minds focused on having fun and staying healthy. And mentally, it’s so much healthier than scrolling through our Facebook feeds. Every time I feel myself starting to compare, I ___. Fill in the blank, y’all. Every time I start to walk down a black hole of comparison, I pray. Every time I start to check Instagram for the 5 billionth time that day, I play fetch with Chloe or read the Bible. Training yourself to find an alternative is a step forward. Count your blessings: This is my favorite — y’all. One of the best ways to stay grounded in love and not social comparison is to remember and feel thankful and blessed for what you do have. Count those blessings, and keep yourself in a state of praise – which will help you combat any negative temptation towards social comparison. There is only one you. Use it to your advantage: I feel like one of the worst parts about comparison is that it brainwashes us to be more like someone else or strive for something else. 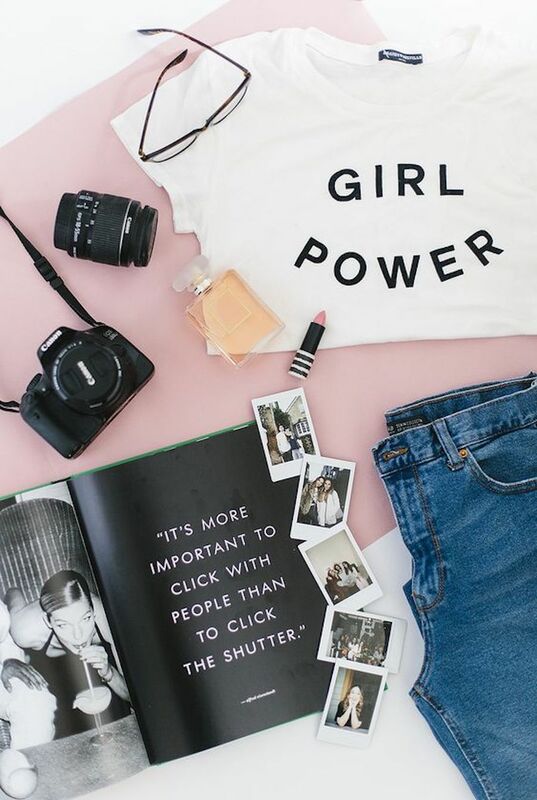 However, in the blogging industry, your individuality is what takes you apart from the millions of girls trying to do the same thing out there. My life coach last year suggested the word “robotic” for the blogging industry – as suddenly every person starts to look and act the same. People will follow you when they see you for you, not someone else in you. People remember character, not the # of likes you have or what you did last weekend: We all know those people. It’s the blogger buying likes (it’s so sad how big of an issue this is with the new algorithm update) – or the old friend who feels like he/she needs to prove how exciting their life is 24/7. BUT… all those “things,” “snapchats,” “likes,” and “efforts” are quickly forgotten. What is remembered, however, is a person’s character, and humility through it all. Remember that. Things aren’t always as they seem: I couldn’t stand by this more, especially being a blogger who knows exactly what goes into an “effortless-seeming” #ootd photoshoot. Guess what: there is nothing about what I do that is effortless (LOL). The idea that the grass is greener on the other side is easily believed when today’s pictures don’t convey reality. Keeping grounded in a state of truth is key. YOLO. BC we only live once. I know that walking down the path of jealousy or comparison can take a LOT of pasttime and do absolutely nothing with it except make you feel worse. So next time: think YOLO; I bet your bottom dollar that you can spend that precious time elsewhere sister. Try and keep that joy and peace and foster it — not deplete it. Thank you so much for sharing this post! As someone who has just recently started blogging, it’s been really hard to look at my social media following versus other bloggers I follow and admire. I think taking one day a week off social media is a brilliant idea! Thanks again for sharing your insight! Thanks for making this post. I’m four months into blogging and it really hasn’t been a smooth journey. I was figure and stats obsessed for a minute till I snapped out of it and remembered why I started. I started blogging as a personal challenge because I find it hard to finish what I start. I started blogging to break out of that habit and so it’ll remain. It’s a different journey for everyone and it’s best to avoid comparisons because everyone’s circumstances isn’t the same. Such a good post for a Monday morning, thank you! I totally agree with the count your blessings part – I’ve recently gotten into this habit and I have felt such a big difference in my outlook towards blogging! Wonderfully written! I’m going to try to use the tips when ever I find myself comparing me to someone. I jus got back from camping in the UP and I had no service. It was nice not having to deal with social media but of course I lost followers because of it. Absolutely loved this post. You are not only a fashionista you are a talented writer. I love how you are so in-tuned with your inner self! I am 25 and still figuring out how to put my blinders on. These posts are so great because it reminds new bloggers like me that not everything is as it seems. Love this! Needed this reminder today (and always!) great idea about a social media free day! I love this topic . I’m a new blogger and I always look at other people’s Instagrams / blogs and compare myself when in fact those people have probably had my same struggles and have worked on their brand for a while. All I can do is be patient and let go and let God. I love that you can give us insight on this topic and how you feel about it. Thank you again. This post is exactly what I needed to hear. I am 23 and have been feeling so left behind, alone, lost, inadequate, etc. compared to my peers. But i have to remember that social media is essentially a fantasy; its a world people create to put online that makes others think their life is all cotton candy and unicorns. I’ve realized that it may just not be my time to bloom right now…but eventually I will. I trust in the timing of God and the universe & am working on reminding myself of that every day. yes I will be successful, yes I will find love, yes I will accomplish x, y, & z. I think its important for people of our generation to remember that as it seems like everyone is on the fast track. We simply need to appreciate the little things in life; stop and admire the butterflies; and realize that we are all where we are supposed to be. Thank you for writing this! It is so true! I just quit social media, cold turkey. Now its a badge of honor not to participate. I love this so much! Really helped me to think of ways to stop social comparison. I am definitely going to try to take a day off from social media once a week, I think that is such a good idea and I feel like it will definitely rejuvenate me and ground me! Thanks so much Jessi! First of all, you’re wonderful. This is a fantastic post with a great reminder and great message. I’ve always liked to follow you because you’re humble and down to Earth. I know you take the time to go around the blogger community and support fellow bloggers, and that’s awesome! We definitely need to support each other, but as individuals, we have to maintain a realistic mindset too. It’s hard, but can for sure be done! Girl, this is the best post I’ve ever read! So true and wonderfully written. Where did you get the girl power shirt? I would love one! I am trying to start a business and also start blogging and you are inspiring! I loved so many of your points you made and want to incorporate them into my own life! Thank you for sharing your heart and being vulnerable! I will definitely be reading through more of your posts to get inspiration! I really needed to read this! As a new blogger it’s easy to look at the big girls (like you!) and think ‘ok this is impossible’ but for me, my therapy is my kids! I try and shut down when they’re home from school til they go to bed and really focus on what matters to me most which is my family 🙂 thank you for sharing this!! !